Despite being a game that first released back in 1999, but it never received a western release. Finally having the chance to play it, The Silver Case, as one of Goichi Suda's first projects as an independent developer, is an interesting game because it certainly shows its age in some ways, but at the same time, it was ahead of its time, and remains deeply interesting today as a result. 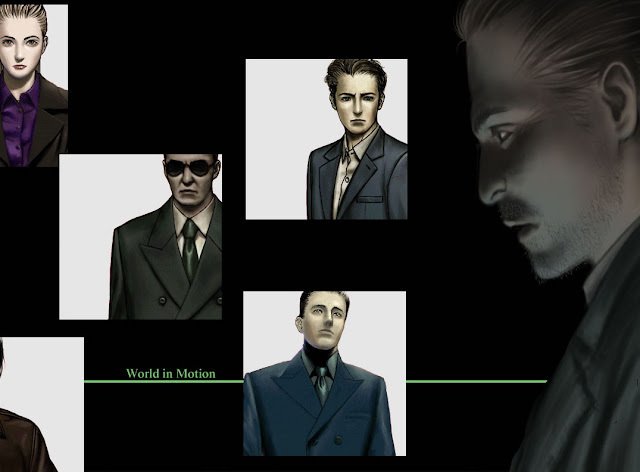 Related reading: Our interview with the character designer behind The Silver Case. 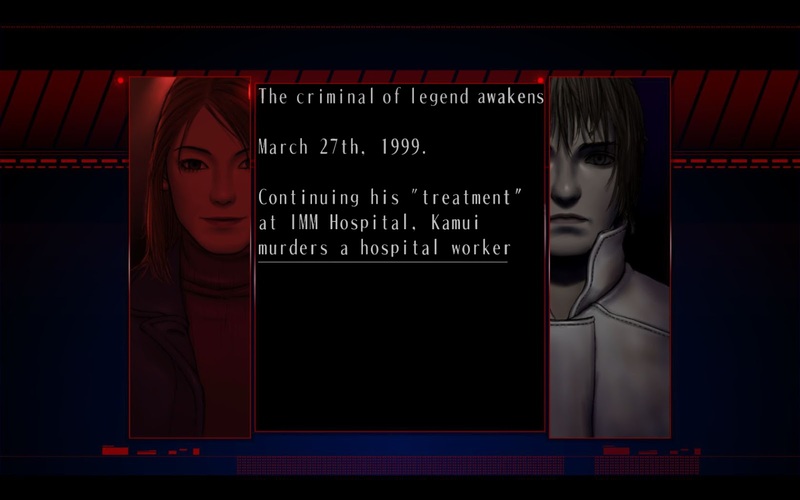 The Silver Case is incredibly narrative-heavy, and that is a good thing. We are big fans of Suda here, and one of those many reasons is his unflinching approach to storytelling. This being his first release, I think Suda was still trying to find the tones and themes he would come to be defined by in some of his future releases - a little like how with the great filmmakers, their early projects stand as raw hints of what was to come later. Fans of previous Grasshopper Manufacture are no doubt used to the stylised action found in so many of their releases, so The Silver Case differs in that is not an action-heavy title either. 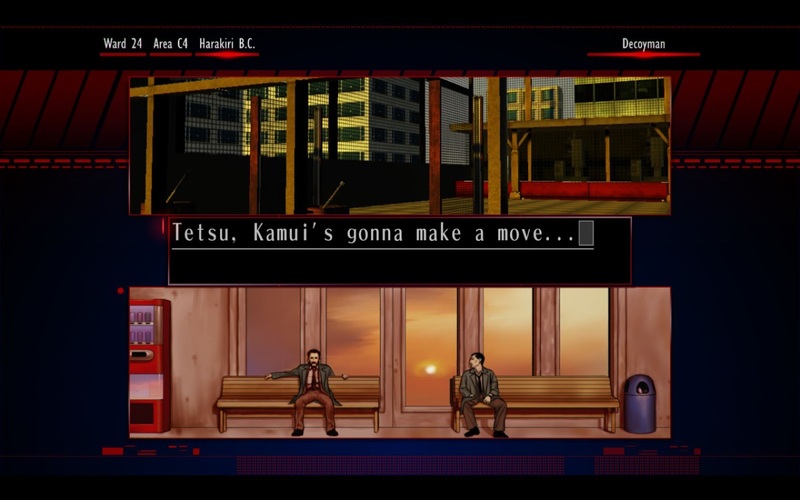 It's easy to forget that Suda-san was all about these kinds of games before Killer 7. 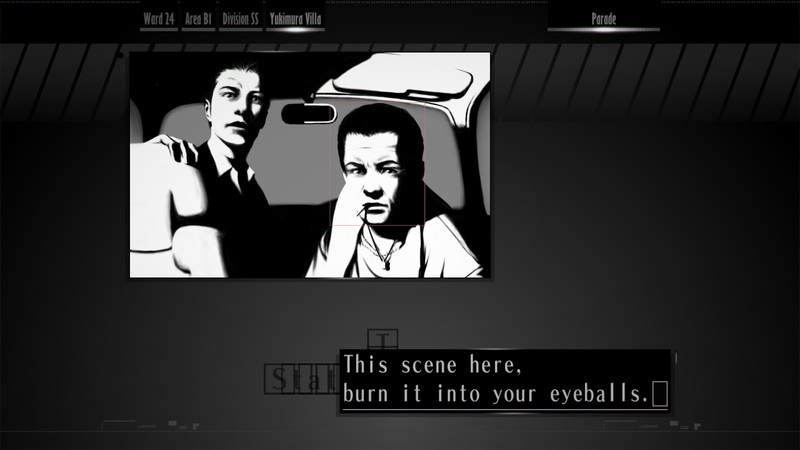 In fact, The Silver Case plays out more like a mesh of adventure game and visual novel. There are walls of text. I did not take any kind of meaningful control over my character until I was roughly half of an hour into the game. There are moments where the rolling storyline takes a back seat to different kind of puzzles. While I appreciate the desire to introduce changes of pace, too often these segments are frustrating due to one of the most awkward control schemes I have ever used. To the game's credit, there is mouse/keyboard and also controller support. Either option functions equally poorly, with strange radial dials where an actual menu system with more intuitive controls would have made the process a whole lot smoother. I felt I was challenged more by the poor control scheme than the actual puzzles. Not that there is anything wrong with the puzzles themselves. In fact, some of them were actually pretty well done, though by the end of the game they had few surprises left for me as a gameplay mechanic. All that being said, these puzzles are more a distraction than anything, and you'll spend the vast majority of your time pressing the space bar or a single face button on the controller to advance the plentiful text. Luckily, The Silver Case is at its best when it is focusing on its narrative. The narrative starts off following Detective Tetsuguro Kusabi on his drive home when he notices a figure in the road ahead of him. The mysterious figure then starts to open fire, prompting the detective to call in for reinforcements. The story is focused on an area called the 24 Wards and our story is centred on a member of a special task force called Republic. The Republic is brought in as a result of Detective Tetsuguro's encounter. This story runs parallel to another focused on a reporter named Tokio Morishima. The characterisation actually reminded me of many of those hard boiled detectives who either smoke or drink heavily (or both). Fans of the old Raymond Chandler aesthetic will get a real kick out of all of this. Of the two plot lines, I generally found Tokio's to be the more entertaining, because the character is not quite the blank slate that your named character is from the Republic. With the latter, other characters talk to him, refer to him, try to make him a part of the conversation, but because he doesn't actually converse, he lacks the same level of character development that Tokio benefits from. The title's two different scenarios (one called Transmitter and one called Placebo) were crafted by two different writers and it shows, which is both a strength and a weakness for the reasons described above. It is entertaining to have two different flavours of narrative, but when one is more engaging than the other, the end result is somewhat uneven. Like many visual novels, this one takes a bit of time to find its footing. It is a tough job setting up a storyline in a unique world, so there is a great deal of exposition that makes more sense later than it might right off of the bat. Pieces start to come together, assisted by dialogue that has its moments of cheese, but also oozes a lot of personality. Suda has always had a knack for building interesting characters, and his love of giving them flaws and quirks has always helped to make them relatable, if not likeable. The characters swear a lot, they have rough edges and while The Silver Case may lack the stylised action that later becomes such a distinctive Suda trademark in future games, there are some distinctively Suda gritty and grim scenarios scattered throughout. The early surprise for the characters involved however, is that the killings have similar traits as an earlier case. This earlier case featured a serial killer who was thought to be dead. It makes for a solid backdrop as the narrative begins to break off into more compartmentalised stories that have ties back to the overarching storyline. One of the most interesting aspects of this type of world building is that the overall narrative is centred around the primary crime, and not the two primary protagonists. 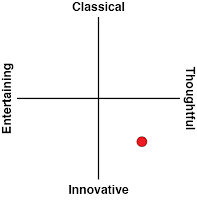 It gives the two disparate storylines a centre to revolve around that allows the world and society to develop more than the characters themselves. Some of these smaller chapter stories are stronger than others. Almost all of them managed to find firm footing right out of the gates, but when you are dealing with mysteries, the pay-off is equally important. Most of the time things worked out well, with satisfying conclusions. There are a couple of times where the case got off onto the right foot, touching on topics that still resonate today, like online safety - but failed to impress me in the end. Being an HD remake of a much older game, I was curious how the art direction would hold up. I like how the windows are still somewhat small within the overall frame of the game's real estate. The presentation is a little strange right at first, but stylish as well and easy to get used to. Text, moving lines, slowly shifting shapes make up the background around the smaller window. It is a nice effect that grew on me rather quickly. The audio is slightly more of a mixed bag. I enjoyed the soundtrack for the most part, but the sound effect that accompanies the way each and every letter appears on the screen was getting on my nerves after awhile. It sounded like an old printer or electric typewriter - because of course that's how a hardboiled detective story would do it - but the game would have been better without it. I have to imagine that this re-release was something of a fascinating project for Suda. Instead of working on a game that was aligned with his current approach to game development, he had to take a step back and re-examine one of his earlier works. As someone who does a lot of fiction writing in my spare time, I try to go back and read through and edit older works of mine, sometimes from as long as ten or fifteen years ago. Not because I plan to share it out, but it helps me to see how my writing and perspectives have changed over the years. Sometimes a person needs to look at how far they have come to get an idea where they might eventually wind up going, and I suspect The Silver Case was something similar for Suda. Modern Suda had to take on the role of producer of a much younger Suda's work. It will be interesting to see if he does anything else like this with other titles in Suda's extensive portfolio after this project. Related reading: Another superb example of hardboiled narrative in games is David Cage's Heavy Rain. Matt's full review. I never had a chance to experience this game when it first came out due to The Silver Case never getting a western release, which is a shame. The issues that I have with the game now would likely been more easy to ignore back then. That being said, it is a testament to Suda's forward thinking that all these years later The Silver Case manages to succeed in its storytelling. 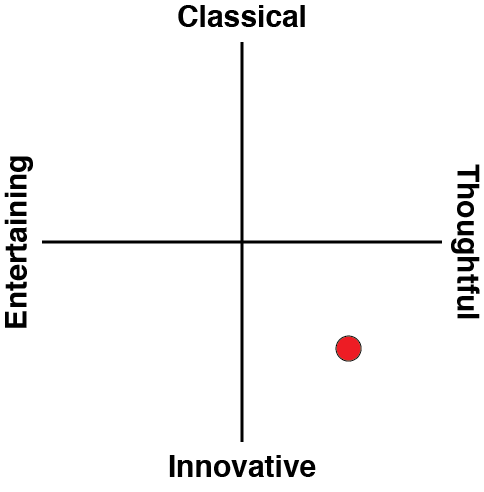 This is especially true in terms of the way it builds quirky characters and a quality hardboiled detective plot. The Silver Case takes a little time to find its footing, but it finishes more strongly than it begins, and is a real treat for genre fans.